Heart disease and other vascular diseases are a leading cause of death across the planet. Each year, nearly one percent of the entire world’s population (or an estimated 70 million people) die as a result of heart disease and other vascular diseases. Despite the often strange and contrived claims of the fitness and wellness industries, the science behind what leads to heart disease is quite well understood. Diets high in saturated fats, salt, and bad cholesterol are all known to increase significantly the risk for vascular disease later in life. More recently, a link between a sedentary lifestyle and heart disease has led healthcare experts to call for more preventative solutions to prevent vascular disease-related lack of physical exercise. Heart disease is a significant health concern for seniors, and once heart disease sets in, it is virtually impossible to reverse. The best remedy is prevention. A healthy diet and regular exercise are the only known method for reducing the risk for heart disease. For years, the Mediterranean diet has been shown to reduce significantly vascular disease; more recently, the Nordic diet, as it is consumed in Scandinavian countries, has also been shown to reduce inflammation and many risk factors for heart disease. The more we age, the higher our risk for cancer. In fact, half of us will develop cancer at some point in our lives. That’s because cancer is a mutation that occurs in our own body’s cells that causes individual cells to quit receiving instructions from the rest of the body. These rogue cells multiply and take over parts of the body until one or more bodily functions cease, leading to death. Similar to heart disease, the best remedy for cancer is prevention. However, cancer is not nearly as well understood as heart disease, and many forms of cancer have unknown causes. There are a few lifestyle factors that can predict higher risk for cancer. These are well known by the general public and include smoking, alcohol, and toxic exposure to certain chemicals. While cancer can develop in anyone for many unknown reasons, some preventative measures can be taken to reduce the risk of developing cancer later in life. A diet with plenty of anti-oxidants, a family of nutrients that help the body eliminated toxic buildup, has shown to reduce the risk of all types of cancers. Cutting down on processed sugars and maintaining a healthy weight has also been shown to reduce cancer risk. Diabetes is a common health concern that occurs in people whose pancreas has either stopped producing adequate amounts of insulin, which regulates blood-sugar, or whose body has lost its ability to use the insulin the pancreas does produce. 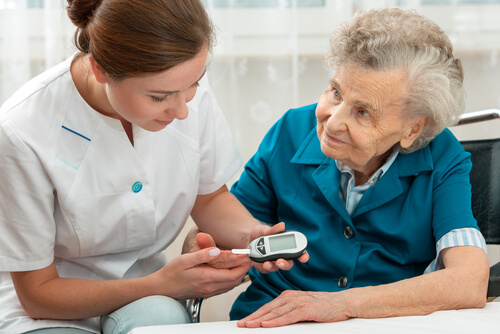 Regardless of which kind of diabetes a senior has, both pose serious health risks as well as complications that can develop into other dangerous conditions such as heart, kidney, and liver disease. The best remedy for diabetes is prevention. Diets low in processed sugar and high in healthful dietary fiber lower the risk of developing diabetes later in life. Unlike cancer and heart disease, however, making the change to a nutritious diet after diagnosis can significantly reduce the symptoms of the disease. It is rare that diabetes is entirely reversed, but there is hope for those who make healthy changes in their lifestyle to return to a near-normal quality of life. 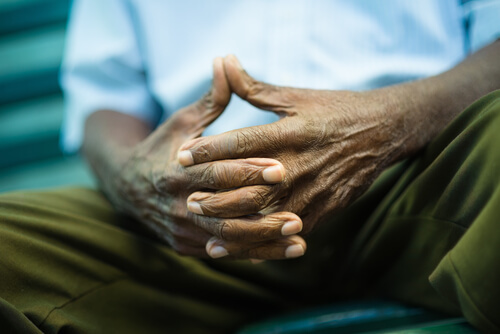 Arthritis affects many seniors, and the symptoms can range from mild pain in the joints to severe, debilitating pain that can interfere with daily activities. Arthritis affects more than half of all seniors over the age of 65, according to the CDC. Treatments for arthritis include pain relievers as well as an increase in activity. It turns out that the more people with arthritis move throughout the day, the less pain they feel from arthritis. Chronic lower respiratory disease, or CLRD, is a condition affecting the airways and other structures of the lung. 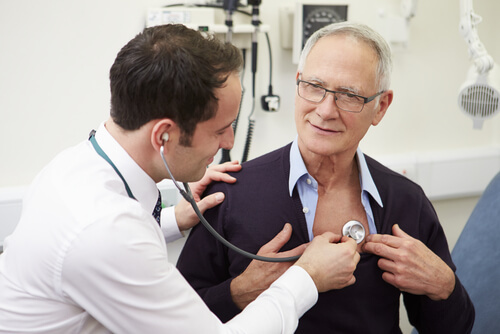 Chronic Lower Respiratory Disease (CLRD) is the fourth leading cause of death in the United States and is projected to be the third leading cause of death nationwide by 2020. CLRD comprises three major diseases: chronic bronchitis, emphysema, and asthma. The conditions are common, and approximately $42.7 billion is spent annually on health care costs related to CLRD. The leading cause of CLRD is the use of tobacco products, including cigarettes and e-cigarettes. Once CLRD presents itself, there is no going back. All that can be done is to manage the symptoms. The only remedy for this disease is prevention by not smoking and avoiding exposure to smoke. Dementia is a chronic, progressive disease that robs seniors of their cognitive abilities, especially memory. Despite a tremendous amount of research on the subject, the causes of dementia are still not well understood. No kind of prevention is entirely effective because it is thought that specific forms of dementia, such as Alzheimer’s disease, are heavily influenced by inherited genes. There are specific activities that can keep an aging mind sharp and prevent, to a point, the progression of generalized dementia (non-Alzheimer’s dementia). Crossword puzzles, reading, and certain puzzles can all help “work-out” the brain to preserve cognitive function over time. Recent research has also shown that learning a new skill, such as a new musical instrument or a new language, can help reduce the risk of developing dementia over time. Seniors face the overall decline of their bodies, which can lead to severe mental illnesses. Depression affects many seniors, and can further exacerbate existing chronic diseases. Signs of depression in seniors is forgetfulness, lack of interest in activities, and a change in grooming habits. Many seniors faced with retirement and health decline turn to drugs and alcohol as a coping mechanism. Alcohol-induced dementia is a dangerous health condition that results from alcohol abuse in seniors. Seniors who exhibit signs of drug and alcohol abuse may need to seek treatment in a dedicated facility or be monitored more closely. 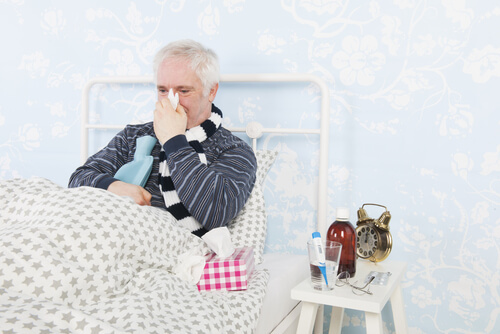 While flu and pneumonia pose little long-term risks to the general population, seniors, particularly those with compromised immune systems, are at high risk of complications related to these diseases. The best defence is prevention by receiving an annual flu shot, as well as making sure to wash your hands regularly and avoid other infected persons. As we age, things don’t work the same as they did before. While most of us worry about problems in our soft tissues, bones are also prone to problems later in life. Osteoporosis is a disease that affects the density of the bones in older adults, particularly in women after menopause. Brittle bones mean a higher risk of bone fractures. More bone fractures mean more hospitalizations, which can lead to all manner of other chances for infections and illness. Osteoporosis is preventable. Women who exercise regularly are at a far lower risk of developing brittle bones, and those who begin a new exercise regiment after diagnosis can reduce their risk of bone fractures. Doctors may also prescribe medications and recommend calcium supplements to help support healthy bones. 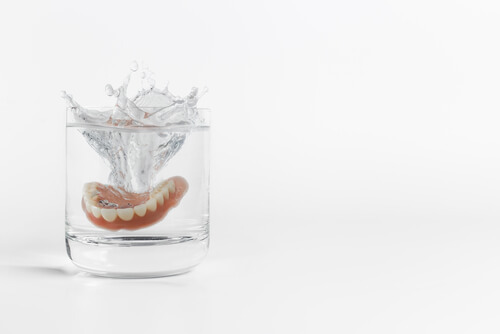 Oral health is often not high on the list of health concern for seniors, but it is vitally important to prevent and treat diseases of the mouth. Poor oral hygiene can lead to tooth and gum decay, which could allow for infection to take hold. Abbesses in decayed teeth are common, and an untreated infection of the mouth can turn deadly, just like any other infection. It is essential to continue to see your dentist regularly as you age. next post: Why Mental Health Problems Are Often Missed in Older Adults.